What are the six biomes? Just a quick test to see if you are smarter than a fifth-grader. Here’s a hint: The Amazon is one type. Time … is … up! If you said rainforest, desert, tundra, marsh, prairie, and temperate forest, then you win! 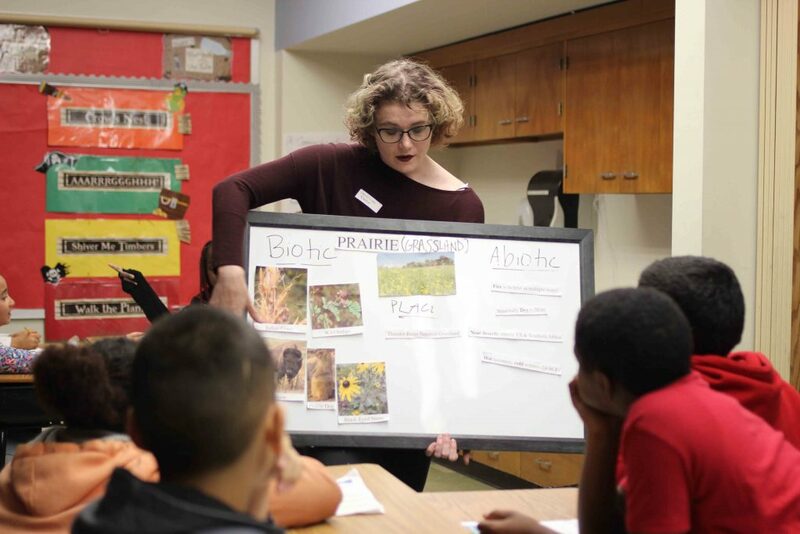 Lafayette students had two 40-minute periods to teach biomes and adaptation to fifth-graders at Cheston Elementary. The lesson has all the core elements: reviewing what was covered the day before, naming goals, outlining activities, and clarifying how to measure success. During review, the college students display a biome image on the screen, and hands shoot up in the air to answer questions—which is this, what are the features, and name a plant and animal that live there. New material follows: Adaptation—how the structure, function, and/or behaviors change to help an organism survive in a specific environment. Ready for the next question? Name three plants or animals that have adapted to their biome. Cactuses spread their shallow roots nearly 7 feet to absorb more water. Bison have flat teeth to better chew prairie grasses. Water lilies have leaves filled with air so they can float on the water surface to gather more sunlight. Cheston Elementary also is adapting. It is one of two United Way Community Schools in Easton. 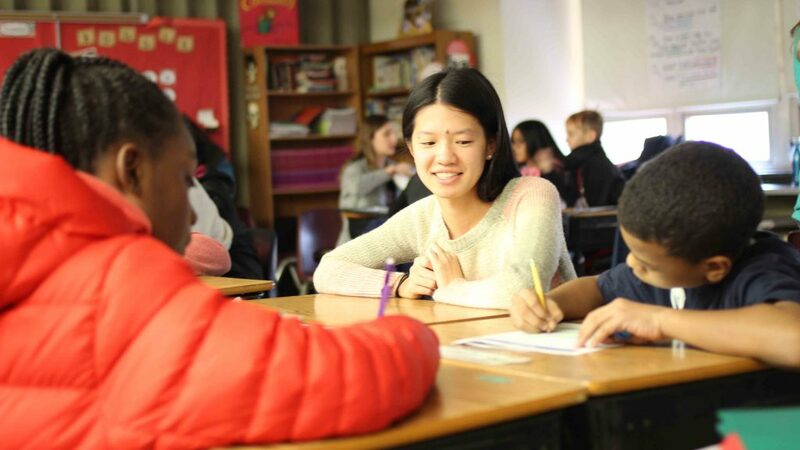 The United Way of the Greater Lehigh Valley is focused on leveling the playing field for schools where students face more barriers to success. The schools become a hub of services that include one-site medical and dental, food banks, clothing closets, and housing resources. Services can in turn help prevent issues that distract from learning. These fifth-graders are anything but distracted today. They have just had lunch and are ready for their guests. Each college student, armed with a whiteboard, plant, and worksheets, sits with one of six groups. At the marsh biome group, students are poking their fingers into a dish of floating duckweed. It looks like the tiny green leaves moistly growing on top of Chia Pet pottery. They are talking about environmental challenges a plant like duckweed faces in the marsh, their adaptation, and how it helps them. Duckweed, with the smallest leaves of any known plant, has adapted mightily. It floats in order to collect sunlight. It has special roots that don’t reach the soil to help it move freely in water. And it has specialized tissue to help pump oxygen from leaves to roots. 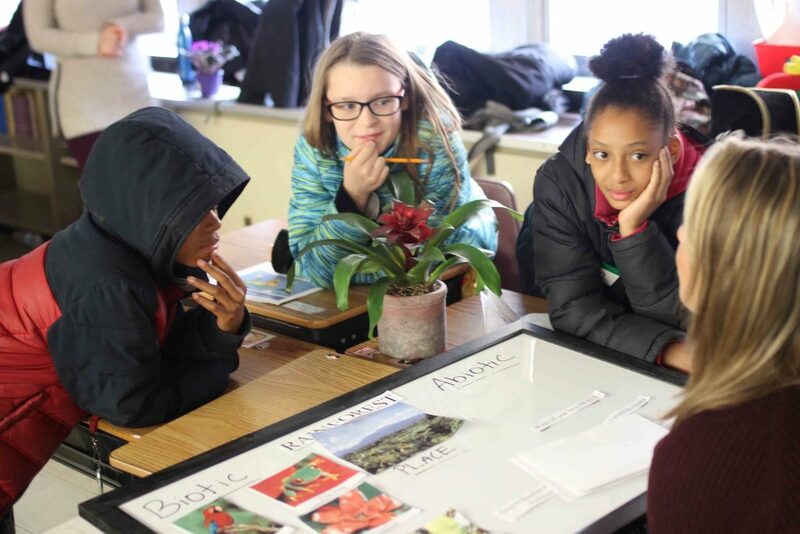 Students jot down information so they can report it to their classmates who are learning about plant adaptations in their biomes: cactus in the desert, wildflowers in the prairies, bromeliad in the rainforest, sphagnum moss in the tundra, and violet in the temperate forest. As students move through their worksheets, Art Kney, associate professor of civil and environmental engineering and director of Center for Community Engagement, speaks with fifth-grade teacher Ms. Yetter. 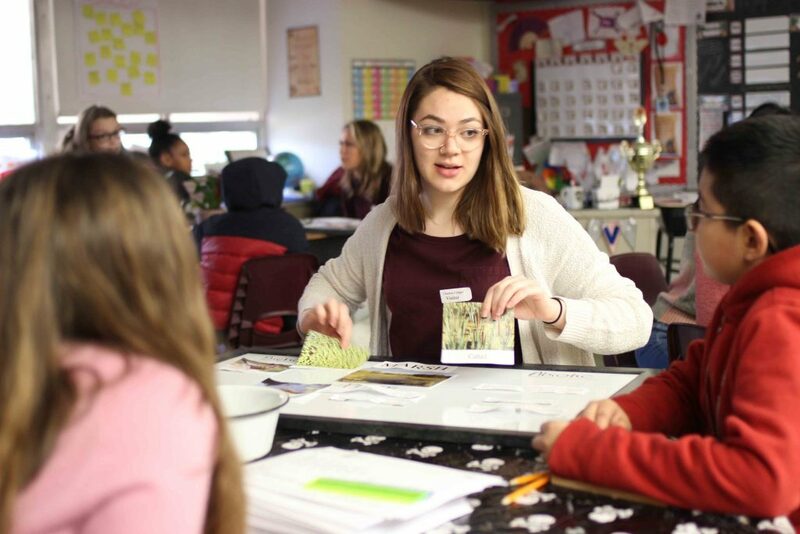 Center for Community Engagement has piloted this program at Cheston, focusing on enhancing educational outcomes of core curriculum by bringing Lafayette faculty, Cheston teachers, and both Lafayette and Cheston students together. Students at Cheston have learned about climate change, Asian culture, the brain, and environmental engineering. 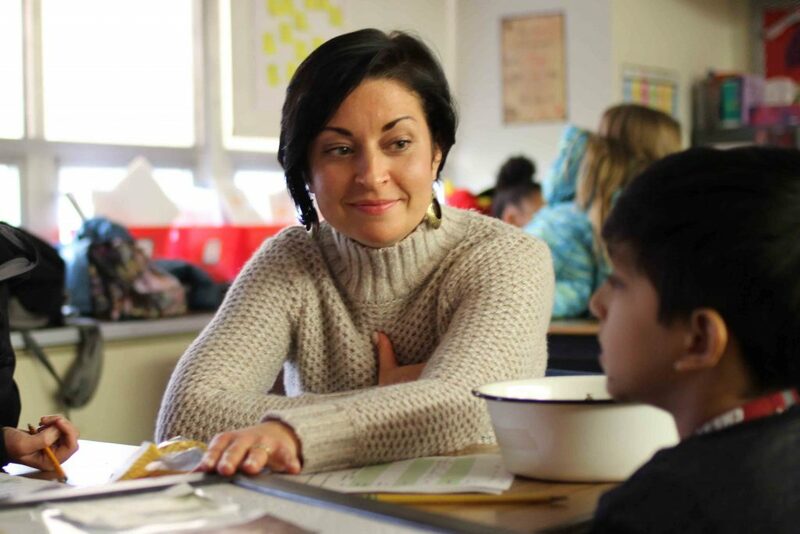 Most lessons also have integrated terms from the district’s “Leader in Me” program, which uses Steven Covey’s Seven Habits for Highly Successful People. The fifth-graders “synergize with their friends” by sharing their findings. Each group presents its plant and adaptations to rounds of applause. At the end of the lesson, the collective thank you is loud. An even louder thanks peels off when the fifth-graders learn they can keep and care for their plants. The third thanks is quieter, one overheard in the hallway as one teacher thanks another. As a professor thanks her students. As students thank each other. As fun recedes but learning grows.